David Orthodontics - Dr. Alexis D. David Inc., Nanaimo, Ladysmith and Duncan, British Columbia - David Orthodontics - Dr. Alexis D. David Inc.
A smile is a reflection of your overall well being and we want you to show it off. We use Invisalign or braces to straighten teeth. We add personalized attention and encouragement to support you during your treatment. We look forward to meeting you! Orthodontics is the specialty of dentistry that straightens teeth. Children, teenagers and adults see us to have their teeth straightened and bites improved. We commonly work with general dentists and other dental specialists to optimize the oral health of our patients. If you are a child, we will guide the growth of your jaws (dentofacial orthopaedics) and help your adult teeth come in straighter. There are more options than ever before to straighten teeth. Let us show you whether Invisalign or braces fit your needs for comfort, convenience and an end result that agrees with you. 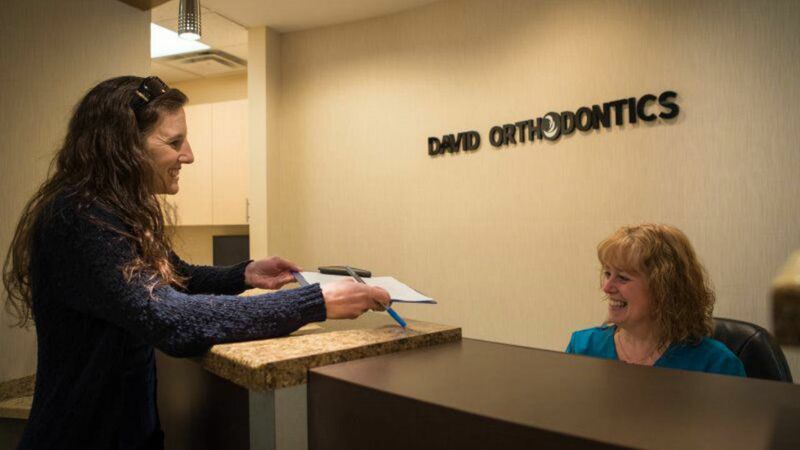 Meet the people that make David Orthodontics special. These are the people that work day in and day out to make your treatment as convenient and comfortable as possible.